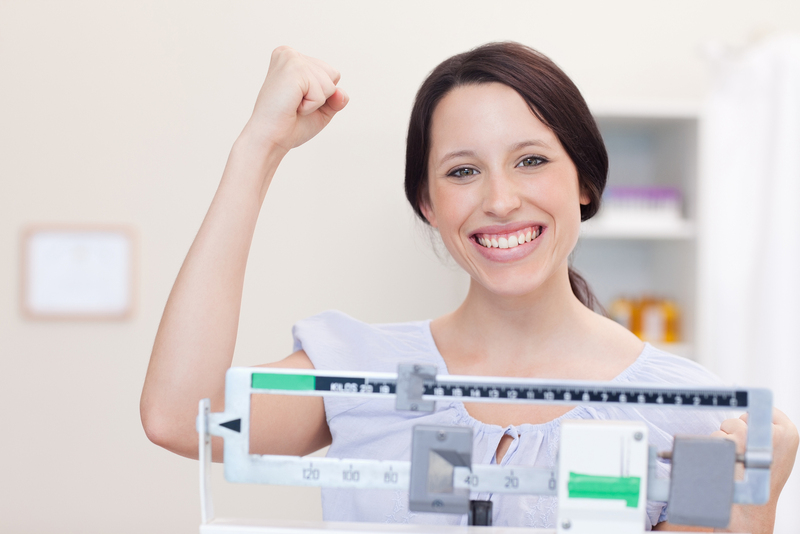 How Can a Longmont Chiropractor Help You Lose Weight? According to a 2013 study published in the Journal of Occupational and Environmental Medicine, 13% of workers gained weight after injuring their backs and going on leave for 180 days. It makes sense that dealing with chronic pain leads to decreased activity but did you know that some pain medications can also lead to weight gain as a side effect? An experienced and knowledgeable chiropractor like Dr. Jess at the Cafe of Life in Longmont can help you lose weight by alleviating pain naturally! Make moving more comfortable: If it hurts to move, then it isn’t very likely that you’ll want to incorporate more movement into your daily routine much less exercise at a higher intensity. By providing relief from pain, a chiropractor can help you increase your activity level and burn extra calories throughout your daily routine. Open more exercise possibilities: When a part of your body is hurting, you will naturally protect it and compensate by not exercising as long or intensely as you would if you were pain-free. Getting adjusted to alleviate pain will allow you to engage in longer and higher impact workouts. Reduce chances of overeating: Since your spine is the central communication highway between your stomach and brain, removing any subluxations will improve your body’s ability to regulate eating. If your spine is in optimal alignment, your chances of receiving accurate hunger and fullness cues are greatly improved. In addition to adjustments, Dr. Jess at the Cafe of Life can help you lose weight with nutritional guidance and holistic support. We are also proud to partner with Farmstrong Coaching for our Cafe of Life Fitness groups- read more about how this personalized program of daily accountability and motivation can help you lose weight with your Longmont chiropractor! Tis the season! Tis the season for family and loved ones. Tis the season for giving, celebrating, shopping, and indulging. And indulging some more. Invariably the holiday season officially ends when resolutions have been made–and the number one resolution year after year? Lose weight! Did you know that chiropractic care can help with weight loss? Weight loss experts have long advocated for a complete approach when taking on a new weight loss regimen. We suggest starting with a call to your chiropractor in Longmont! Obviously the mutli-dimensional approach would include a nutritional overhaul and a commitment to regular exercise. Both are critical. But, they work much better by adding another dimension—chiropractic care. Chiropractors make great weight loss advocates and whole healing allies! A good chiropractor knows the entire body (and mind) is connected and must be treated as an entire system. We offer more than just chiropractic adjustments. We offer an excellent support system for your lifetime of health and wellness. Our goal is to help you be the healthiest version of you! How does chiropractic care help with weight loss? Subluxations of the spine can actually be a major contributor to weigh gain or the inability to lose weight even with diet and exercise. Remember that the spinal column is just a big information highway for your body. Any spinal misalignments will impair the signals controlling things like hunger. Pain can also keep many people from starting or maintaining an exercise program which, as we mentioned earlier, is critical for weight loss success and overall health. Spinal misalignment often results in chronic pain, discomfort, fatigue, and decreased range of motion. This can make it very difficult to start an exercise plan, much less continue with it long term. Chiropractic adjustments are the most effective way to get you pain free. Even if you manage to gain some exercise momentum you might end up feeling back pain, neck or shoulder pain, or other pain simply from the new routine itself. Chiropractic care can be just the thing to get and keep you pain free before, during, and even AFTER workouts (a chiropractic visit can be such a great relaxer post workout!). An added bonus of regular chiropractic care in conjunction with an exercise program is that a well trained and experienced practitioner will be able to spot any injuries or potential injuries right away. Don’t waste all your efforts in the kitchen by not even absorbing the nutritional benefit of your carefully constructed meal! Did you know that a misaligned spine can keep your body from effectively absorbing nutrients? That information alone is worth a regular spinal adjustment when you think of all the money we spend on quality foods and supplements. Losing weight will also shift your center of gravity thereby shifting the demands placed on various parts of your body from feet up to neck. Regular adjustments can keep your joints and spine aligned as your body shifts and changes. Chiropractic assisted weight loss programs are a superior method because we utilize a non-invasive, holistic, and pill free choice to your goal. No fad diets or programs here! We look to a long term lifestyle solution to get you to a healthier, happier you. Dr Jess at Café of Life Chiropractic in Longmont has a passion for helping people of all ages. She is devoted to promoting health, wellness, and life balance. If you want to kick start 2016 with a wellness or weight loss plan, make a chiropractic appointment today. We will get you ready both physically and mentally to tackle this challenge and realize your goals.